We’re quickly approaching the most festive time of the year, where most of us find ourselves swamped with requests for presents, party preparations and familial obligations. With so many arrangements driving tensions high, it’s easy to forget about the most crucial priority – the safety of your family. With so many hectic undertakings and rosy-cheeked family members to tend to, it’s no wonder we’re at an increased risk of injury in our own homes during this time. It’s the excitement and energy of the season that gives way to this outcome, but there are various countermeasures available. The Child Accident Prevention Trust recommend that you buy toys only from trusted retailers, ensure any visitors refrain from leaving any medicines lying around, and be especially careful around candles, fairy lights and decorations – especially when hung near a light or heater. The risk of trapped fingers in closing doors is also significant, with even the BBC stating that children’s door crushing finger injuries can be lifelong. As a result, hinge protectors are unsurprisingly on the rise. 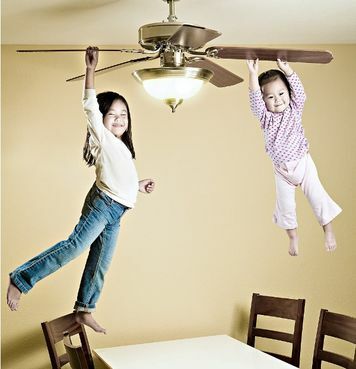 You also need to stay vigilant where any sharp corners on furniture, countertops and appliances are concerned: the kitchen is a dangerous enough place for a child without adding even more hazards into the mix. For example, there are snooker tables for sale at Hamilton Billiards that can be sanded down to a smooth incline, and many other adjustments and customisations are readily available. The increased risk of fire hazard is one of the primary safety concerns at this time of year, with so many bright lights and candles raising the possibility of a fire starting. Thankfully, there’s a simple, painless method of improving your defensive solutions: Ironmongery Experts sell Dorgard fire door retainers in a variety of colourations, and each battery-powered model is designed to wirelessly close the door it holds open upon the sound of the fire alarm, creating a synergy between your fire alarm and every door you apply a Dorgard to as they activate in tandem. No matter how you choose to approach it, don’t put aside your family’s safety this Christmas – they’re worth more than any replaceable possession ever will be.